As soon as you pull up to this classic Brick Ranch style home, you will see the charm of this home in the sought-after St Gregory's Neighborhood! Central Phoenix living! 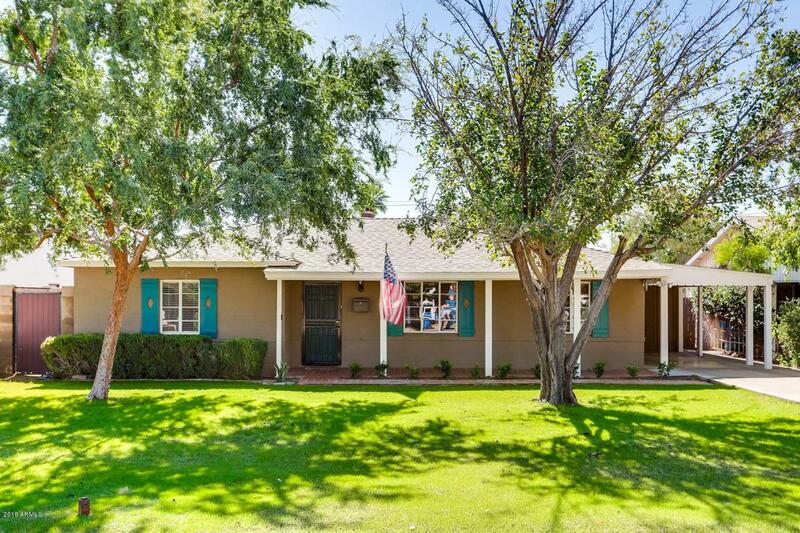 Incredibly well-maintained home with N/S exposure with shade trees and green grass everywhere. This charming 3 bedroom and 2 bath home features master bedroom with sitting area, great-room with dining area and lots of storage. Newer improvements throughout - kitchen cabinets, counters, bathrooms - all tastefully updated. Large grassy yards - front and back. Very private backyard. Backyard is large enough for pool and spa with back alley access. Storage space just off the carport! Just minutes from the trendy Melrose shopping and dining district, Encanto Golf Course and Park.